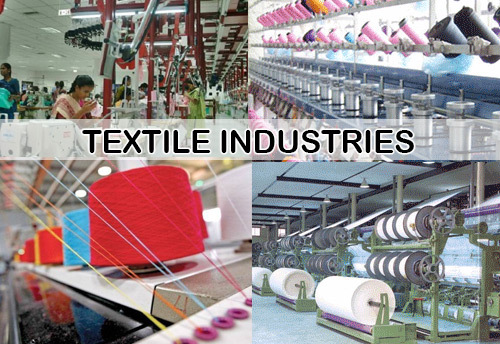 New Delhi, Mar 20 (KNN) With the Lok Sabha elections just few months away, the textile industry listed the expectations from the upcoming new government while talking to KNN India. Chairman of the Confederation of Indian Textile Industry (CITI), Sanjay Jain said that textile industry provides huge employment to the rural women and which is very important for inclusive growth. But still we are lacking behind. “So my request is that the whole value chain from yarn to garments to get complete refund of taxes and duties,” he added. “This will help in all the state and central policies to maintain balance and equilibrium and work towards the common vision,” he added. Giving importance to cotton he said that we also need a clear cut fiber policy which should cover mainly cotton, as cotton productivity in the country is globally one of the lowest and there has been no improvement in the last few years. Farmers are also suffering because of this situation, so we need to work on this as a war footing basis, he said. “Vietnam, Bangladesh, Pakistan, Sri lanka, Myanmar and also African countries enjoy much easier access to the main dominant markets of the world,” he added. We have been requesting the government to seriously pick-up the issue with Europe and negotiate with China on yarn and fabric so that we are on level same field with our main competitors, he said. Jain further added that the 50% of disadvantage for the textile industry is due the difference in the level playing field. The industry is not looking for subsidies we are looking for a level playing field. If government cannot do so then we request to compensate the industry for it grows in the competitive environment, he said. So we request government to make necessary changes in schemes for the textile industry to flourish, he added.